About Us - Jayne Products, Inc.
Jayne Products has a 30 year history of providing environmentally compliant cleaners and degreasers for high volume industrial users. Conveniently located in Carson, California, we are a low-overhead/high-volume capacity operation that provides the highest quality standard and customized products at a minimum cost. We have an R&D and QC laboratory that performs comprehensive product development and testing to ensure that all of our products meet both our quality standards and the customers' needs. Our JPX line of vapor phase and circulation turnaround chemicals includes JPX, JPX-E and JPX-EE which are products that were developed from the experience gained in hundreds of refinery and petrochemical plant turnarounds. The JPX line was also specifically designed for the external and internal decontamination of systems and equipment, and has a proven track record of effectiveness, safety, saving time and reducing costs. We offer expert consultation and project management as required for turnarounds, emergency shutdowns, fin-fan cleaning and tank cleaning. 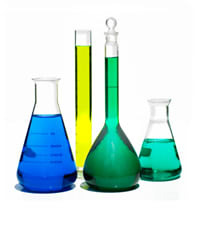 Our bulk area cleaning chemicals include Energy Plus Red, Power Wash, Energy Plus and ES-270. Our bulk area cleaning chemicals are certified by either the Southern California AQMD or NSF International which are very stringent cleaner certifications. See the respective web pages to learn more. Jayne Product’s degreasers are very versatile and effective. We provide cleaning chemicals to various industrial users such as oil refineries, wastewater plants, transit authorities, printing presses, warehouses, restaurants, food processing plants, and bottling facilities. Many of our clients take advantage of our multi-year contracts, custom blending and bulk delivery in the Los Angeles and Orange County, CA areas. Jayne Products will get your cleaning job done Cleaner, Quicker. Greener.